The UK historic aviation scene mirrors the natural world during the winter. Just as plants and animals hibernate to conserve energy so that life may continue come the spring, many vintage aeroplanes are hangar-bound for all-important annual maintenance. Planning for the next round of airshows also gathers pace behind the scenes. Many refer to this time as the ‘off season’ but, as recent years have demonstrated, the autumn and winter months do not have to be a time of self-imposed hibernation for vintage aircraft enthusiasts – the October to April ‘down time’ is diminishing, leaving us with an events calendar that spans a full 12 months. In lieu of airshows, attentions turn to the raft of private events, fly-ins, photo shoots and exhibitions on offer for a different kind of gratification. The winter is an excellent time to visit some of the UK’s fine aviation museums. The RAF Museums of Hendon and Cosford have always been popular haunts, and the former is particularly interesting at present with the Graham White hangar hosting a special First World War centenary exhibition, while a much-anticipated RAF 100 display comes together elsewhere on site. The Brooklands Museum has also undergone change with the recent Heritage Lottery-funded overhaul of its Aircraft Factory & Flight Shed, and is is well worth a visit. 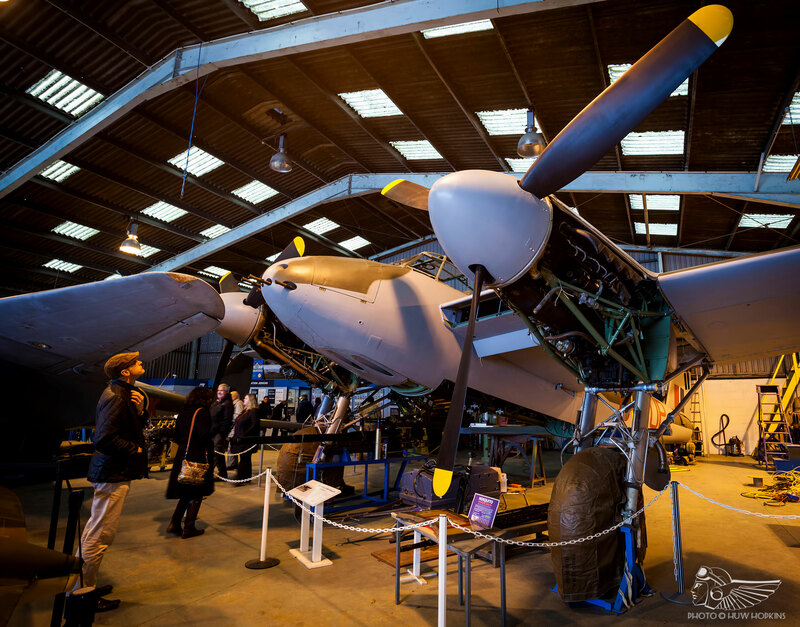 At Hatfield, the de Havilland Aircraft Museum has brought its opening season forward to early February and visitors can find three examples of the Mosquito under one roof. As the museum takes steps to secure Heritage Lottery Funding for a new hangar to bring more of the exhibits undercover, it couldn’t be more worthy of the support of aviation enthusiasts. While sporadic vintage and light aircraft fly-ins have been commonplace during the autumn and winter, recent years have seen an increase in specialist events that cater for the enthusiast. As we are midway through this winter’s ‘off season’, it seems a good time to reflect on some of the events we have enjoyed so far and take stock of those still to come. Talks and lectures are an excellent way of indulging a specific historic aviation subject, and are often presented by some of the scene’s most prominent figures. A highlight each October is the Historic Aircraft Association (HAA) Symposium. Hosted at RAFM Hendon, this event is also open to non-members and always features a good schedule of lectures throughout the day, complemented by a fantastic private lunch at the museum. It can be a wonderful opportunity to hear more from, and meet, some of those instrumental in vintage aircraft restoration and preservation, whilst supporting the often overlooked stellar work the HAA does. Last autumn’s symposium saw talks by Rod Dean on his days as RAF Hunter display pilot, Guy Black on recovering and restoring the Airco DH-9, George Bacon on the future of the Army Historic Flight and Steven Moth on staging the Dunkirk film’s aerial scenes – all compared perfectly by HAA Chairman Wally Epton.  On 18 February the wonderful art deco Aviator Hotel at Sywell aerodrome will host Light Aircraft Association (LAA) CEO Steve Slater for a talk titled Flying for Fun, covering grass roots flying, the LAA and Vintage Aircraft Club (VAC). The Shuttleworth Collection will also be hosting a particularly interesting day on 3 March, built around a lecture by chief pilot Dodge Bailey on testing the DH.88 Comet with the added attraction of a lunch and guided tour of the hangars and manor house. Dodge’s talks always prove fascinating, those on the Comet particularly so. Behind-the-scenes style events prove popular with enthusiasts keen to see aircraft and restoration activities up close, and recent years have seen a wealth of opportunities presented by workshops across the UK. RAFM Cosford holds its Conservation Centre open days each autumn, offering a fascinating insight into all of the work done there, and particularly the restoration of the Handley Page Hampden. This year will see the Conservation Centre opening to visitors from 8-12 November. Further south, and for those seeking insight into the operation and restoration of active warbirds, the Biggin Hill Heritage Hangar (BHHH) now offers regular tours around its vibrant facility at Biggin Hill. These guided tours are an excellent way to learn more about the histories of more than a dozen Spitfires currently housed under BHHH’s roof, and to enjoy first-hand insight into the restoration work required to return one of them to the skies. The Kent Battle of Britain Museum at Hawkinge recently took delivery of a Bristol Blenheim from the Aircraft Restoration Company, with the aim of restoring the aeroplane to static condition. Having hosted an open day upon the aircraft’s arrival from Duxford, the museum will be staging another to view the project on 17 February, outside of its normal opening period. A considerable amount of work has already been done in the short time the aircraft has been in residence at Hawkinge, and this will provide a fascinating opportunity to see it close-up and talk to those restoring the airframe. Also on a smaller scale, but of great importance to the revival of a significant type, is the Hawker Typhoon RB396 Restoration Project. The team will be hosting regular open days at their storage facility in Uckfield, allowing visitors to view the impressive collection of parts (including a Napier Sabre engine and significant amounts of original Typhoon airframes) already amassed and to meet the people behind the project. The plan is to host an open day on the final Sunday of each month, with some events limited to members only. Future dates can be found on the website, with the next general ‘open house’ set for 25 February. 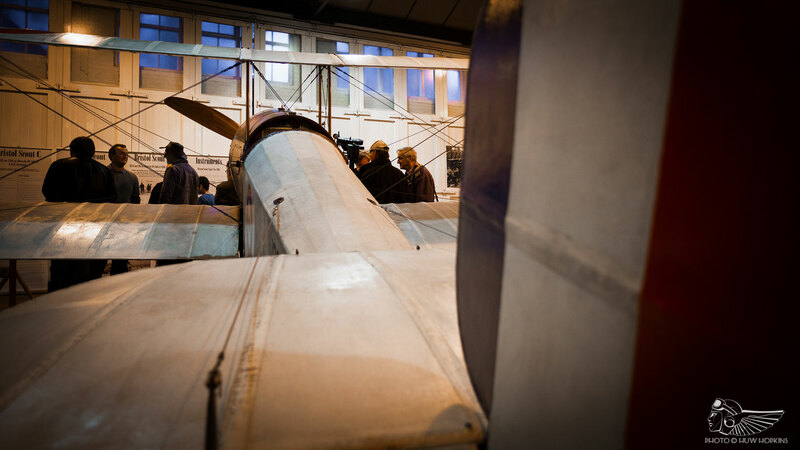 Firm favourites for many in between Christmas and New Year are the Shuttleworth Collection’s Open Workshop days. These have a genuinely friendly atmosphere and offer a fantastic insight into the work the Collection carries out to keep its large fleet of aircraft in the air. Similarly geared towards those with an interest in vintage aircraft maintenance and restoration, the Historic Aircraft Collection’s (HAC) ‘At Home’ events hosted every month or so from October through to April at Duxford have proved very popular additions to the events calendar. The format typically sees an interesting presentation by a guest speaker or a member of the HAC team followed by a guided tour of the fleet, with pilots and engineers on hand to answer any questions, topped off by the opportunity to sit in Spitfire Mk.V BM597. These are some of the very best behind-the-scenes days on offer and come highly recommended. The most popular type of ‘off season’ events are photo shoots, and in particular night shoots, as a large proportion of enthusiasts are also keen amateur or professional photographers. Taking advantage of the longer nights, these events allow photographers to keep their hand in over winter by providing a challenging environment to shoot in, whilst offering the chance to capture popular subjects in a different setting and generating extra income for operators or charities. Various night shoots have come and gone over the years, but specialist company Timeline Events (TLE) has stepped into the fold to become the most prolific organiser in the field. Quickly garnering a reputation for staging well-received high-quality dedicated photo shoots, whilst also developing and solidifying relationships with museums and operators in the historic aviation scene, TLE has become the clear market leader. Its events have raised money for charities and organisations alike, spanning myriad heritage fields from aviation to steam engine preservation. Upcoming TLE photo shoots feature Southend-based Vulcan XL426 (sold out), Wattisham’s Phantom (sold out), Vampire T.11 WZ507 (nearly sold out), Shackleton WR963, the Hangar 11 Collection at North Weald, a Stow Maries Great War Aerodrome sunrise event and Lancaster Just Jane (nearly sold out), as well as events already scheduled into the autumn with Vulcans XM655 at Wellesbourne and XM603 at Woodford. If any of these tickle your fancy, more information can be found and tickets purchased on the TLE website. Making waves over the last year is new aviation events company Threshold.aero, offering a variety of different subjects for enthusiasts at their well-received fly-ins and photo shoots. The team recently hosted a sold-out day and night shoot at Spanhoe airfield featuring an array of vintage types, including the second public post-restoration appearance of the unique Reid and Sigrist R.S.4 Bobsleigh, which carried out engine runs under the lights. Interest was such that Threshold has hinted a follow-up ‘shoot may be organised in future. 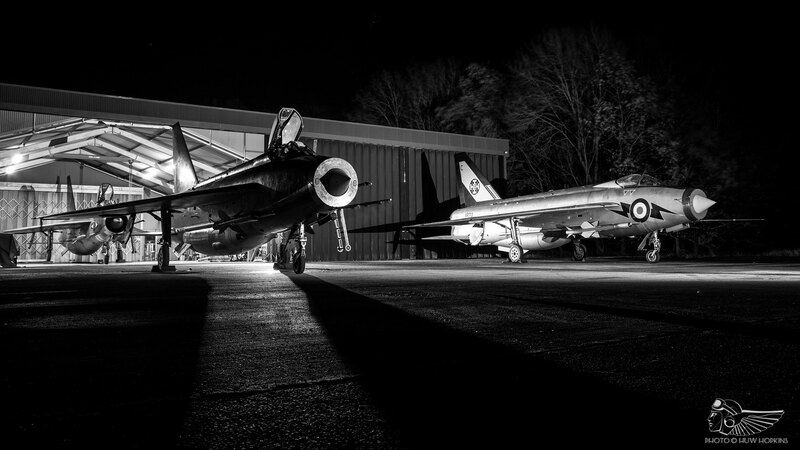 The company’s next events include an inaugural night shoot at RAF Cosford in March, followed shortly thereafter by a return to RNAS Yeovilton for a night with Navy Wings (the sequel to a successful first event at Yeovilton in 2017). Several events will then be hosted at Middle Wallop, including a night shoot celebrating 80 years of the airfield, as well as entry to the Auster 80th anniversary fly-in and associated night shoot in April. Again, full details and ticket information can be found on the Threshold.aero website. Whilst TLE events are a tad on the expensive side with prices typically sitting within the £55-£70 bracket for a high-end bespoke photo shoot experience, Threshold.aero provide a lower cost alternative, with tickets ranging from £26.50-£42.40. As both companies cater for slightly different markets and continue to sell out events, there is clearly room in the market for both to co-exist, which is positive for aviation enthusiasts and heritage organisation alike. Independent photo shoots can also be found on the calendar. The Lightning Preservation Group at Bruntingthorpe organise a handful of events throughout the year, with its popular twilight reheat runs in November and a static photo shoot held on 24 February. The neighbouring Buccaneer Preservation Group will be staging an event to mark the 60th anniversary of the Buccaneer prototype’s first flight on 28 April. This will see three Buccaneers performing fast taxy runs, wing folding demonstrations and cockpit viewings, and participating in other photographic opportunities. Finally, looking ahead to this autumn, the Shuttleworth Collection night shoot makes a welcome return at Old Warden on 13 October. This will feature, rather fittingly given the airfield’s proximity to the old RAF Tempsford, the Westland Lysander, as well as Spitfire Mk.V AR501 and some of the Collection’s earlier types (if weather conditions allow). This is far from an exhaustive run through of all events, but it gives a flavour of what’s on offer. There are still plenty of opportunities to be grasped during the ‘down time’ before the UK airshows begin again in May, and it’s worth keeping a keen eye out next autumn and winter for much more of the same.